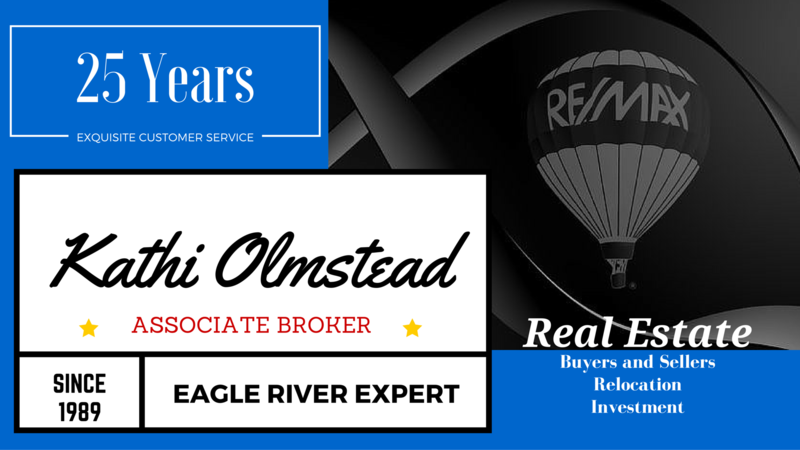 Kathi Olmstead brings more than 25 years of marketing, sales and real estate expertise to the sale of your home or to the purchase of your new home or investment property. Kathi is an expert negotiator who truly enjoys working with her clients. 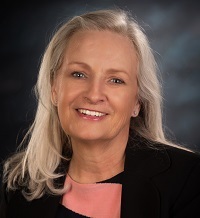 Kathi Olmstead has earned her CDPE (Certified Distressed Property Expert) designation, she is a GRI (Graduate of the Realtor Institute), and an accredited CRS (Certified Residential Specialist), in addition to completing her B.A. in Business Management with an emphasis on Marketing. 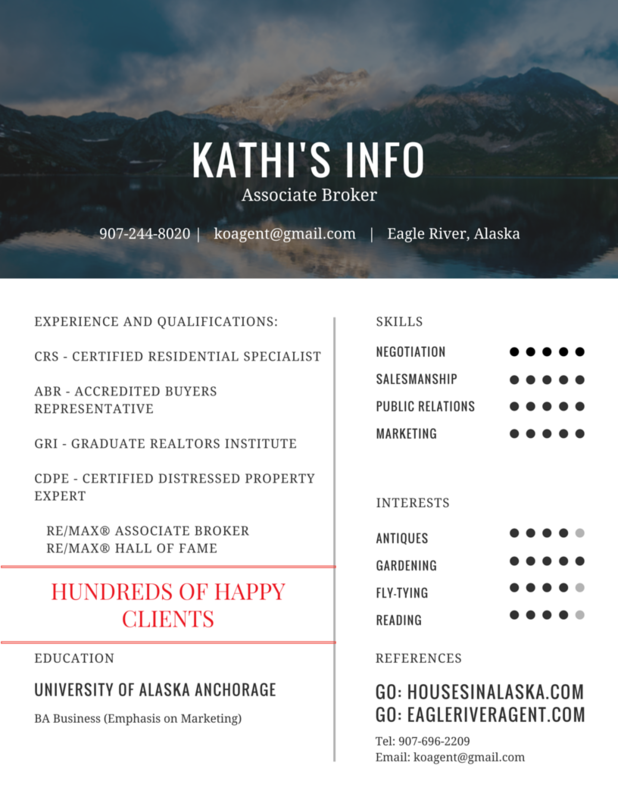 More importantly, Kathi has helped hundreds of buyers and sellers in Alaska and is looking forward to helping you meet your real estate goals next. 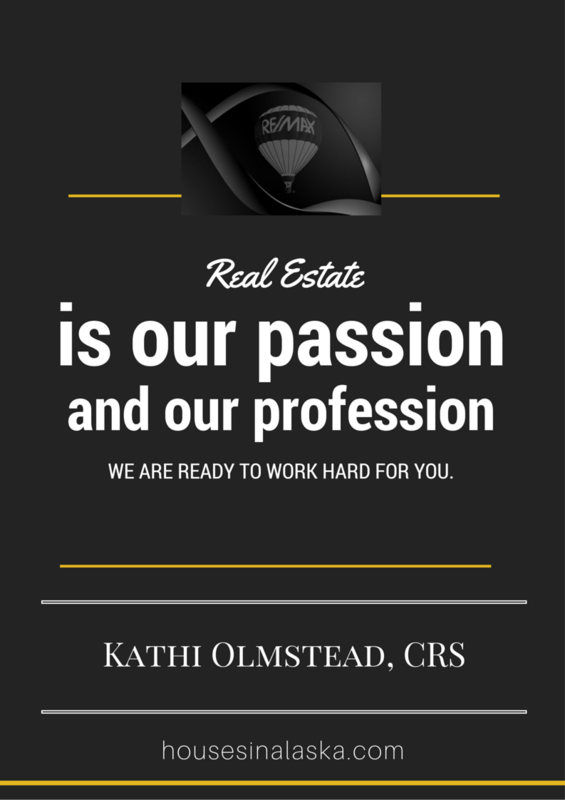 Kathi strives to exceed your expectations and assist you through every step of the buying or selling process. Kathi has earned widespread praise from her clients over the years for her professionalism, market savvy and personal dedication which she brings to every client relationship. An Alaskan resident and full-time real estate professional for more than 25 years, she offers unmatched insights into the local market. If you see something you like, please ask about it so we can send you all the pertinent details, photos, maps, tours and disclosures that are available. Remember: Outstanding homes sell very quickly, so don't delay. Knowing what your desires and needs are allows Kathi to alert you the moment something ideal hits the market, or even prior to it coming on the market. Register now to see all the newest properties, save your favorites and receive alerts when homes matching your criteria are available. Interested in selling your home? Go to Home Value and fill out the form. I will do a free competitive market analysis on your property and email you a comprehensive report for your review. Most of our clients only think about buying or selling a home a few times in their lives, but it is what I love to do every day for my clients. I provide superior customer service and representation for our clients in the purchase and sale of homes, investment and income property. The communities we specialize in include Eagle River, Chugiak, Anchorage, JBER, Elmendorf AFB, Fort Richardson, Peters Creek, Wasilla and Palmer, Alaska. If you are relocating to the area please let me know asap (Contact Kathi) and I will prepare a relocation package with information specifically suited to your needs. It's exciting to move to Alaska and I'd love to have the opportunity to welcome you and yours to our great state and relieve some of the inherent stress for you. 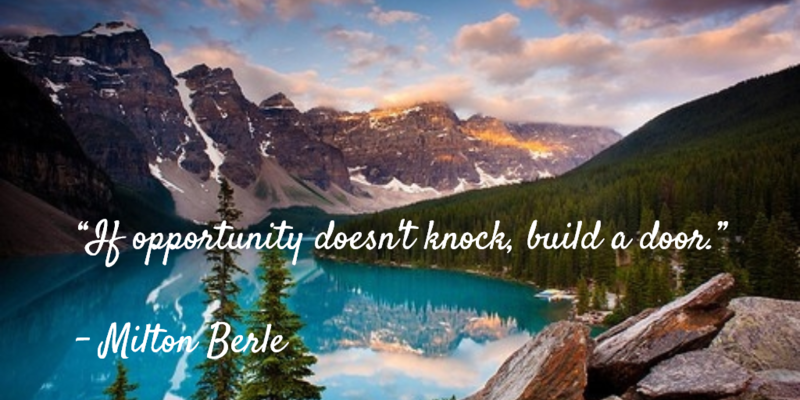 Kathi has the drive and experience to help you achieve your real estate goals! I have resided in Alaska since 1980 and raised my four children in the Anchorage and Eagle River areas. Fortunately, I have had the opportunity to be involved in numerous activities from PTA to softball, soccer and football and I have a clear insight into what makes a property feel like your home. With in-depth knowledge of area subdivisions, military bases, schools, churches, and athletics I welcome to have the opportunity to assist you next.